Note: Can not send Alaska/Hawaii,US Protectorates, Puerto Rico,APO/FPO,please contact seller before.Thanks! Commercial Lolly Waffle Maker 6 Pcs Waffle Dog Machine 1550W Sausage Waffle Maker Non-stick Waffle Maker for Snack Bar Home Use . Non-stick cooking surface for easy cleaning. 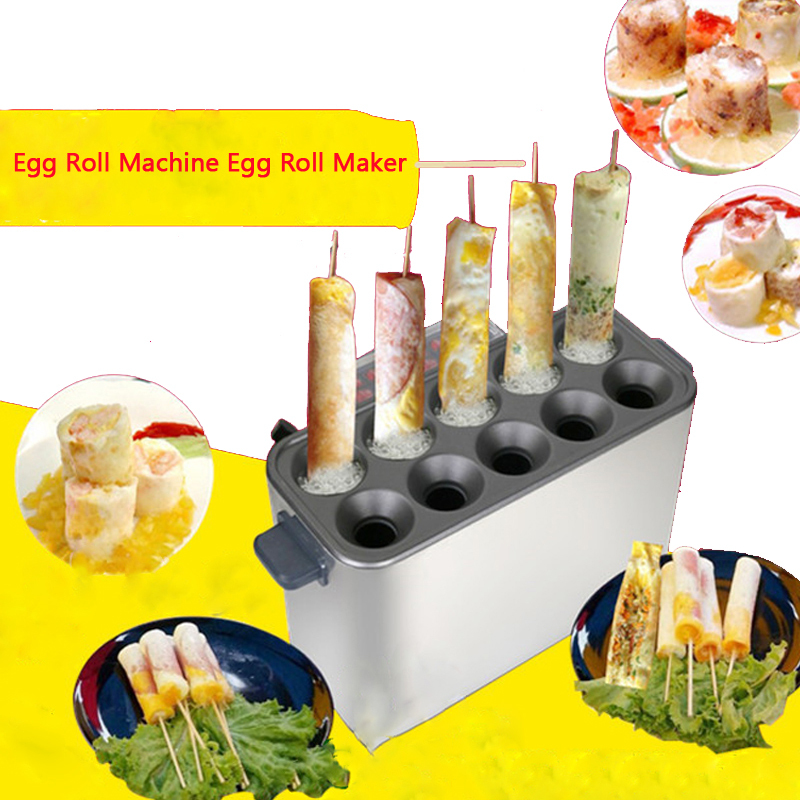 Cooks up to 6 delicious corn dogs in minutes. Simple and practical,easy for people to get started. Adjustable thermostat for heating evenly and energy-saving. Made of stainless steel and aluminum with teflon coated ( non-stick cooking surface). This hot dog waffle maker makes it possible for you to bake the new waffle on a stick or lolly waffle. Small openings are pre-made on the side of each lollipop waffle grid to insert the stick at the beginning of the baking process. The specially designed grids of corn hot dog waffle maker allows you to bake 5 waffle at one time and the baking time is about 5 minutes. Lolly waffle maker is designed for hot dog, sausage and corn baking, crisp cake, waffle making in restaurant, cake room, snack food factory and family. Package size: 44 x 41 x 31cm / 17.32"x 16.14"x 12.20"